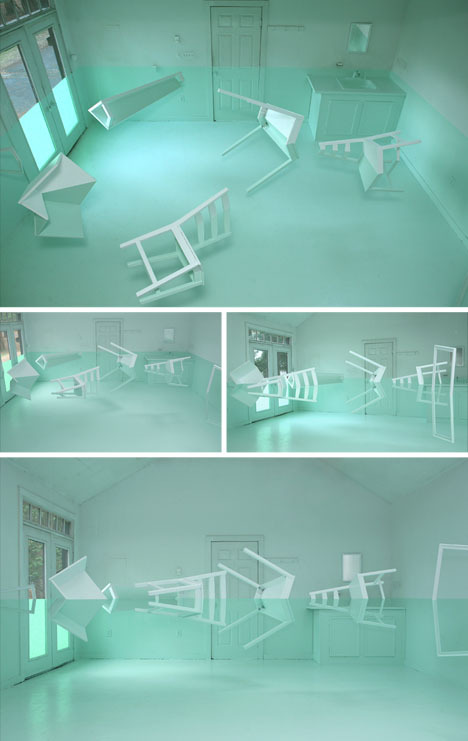 Like some kind of strange spatial magician, Kyung Woo Han turns conventional furniture, fixtures, doors and windows into otherworldly scenes that call into question just how familiar we really are with such everyday objects. 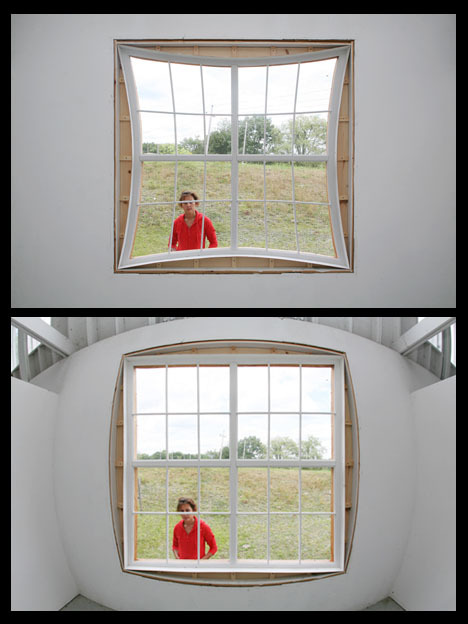 Consider White Window, a deformed frame that pulls in from the edges, but when viewed through a fish-eye surveillance camera (also part of the installation) is corrected to look like the only straight-lined design in the space. 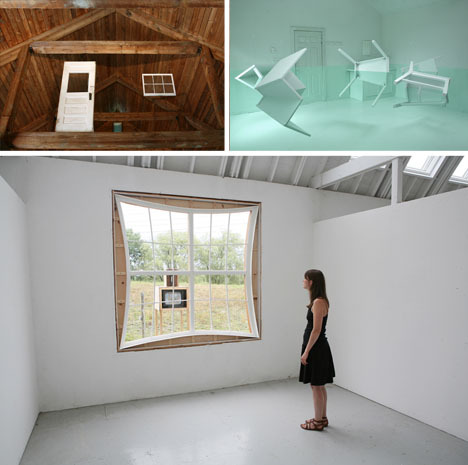 In Green House, a room is half-filled with faux water while suspended shapes of partial furniture float at eye level, appearing to be reflected at the point where surface meets air. 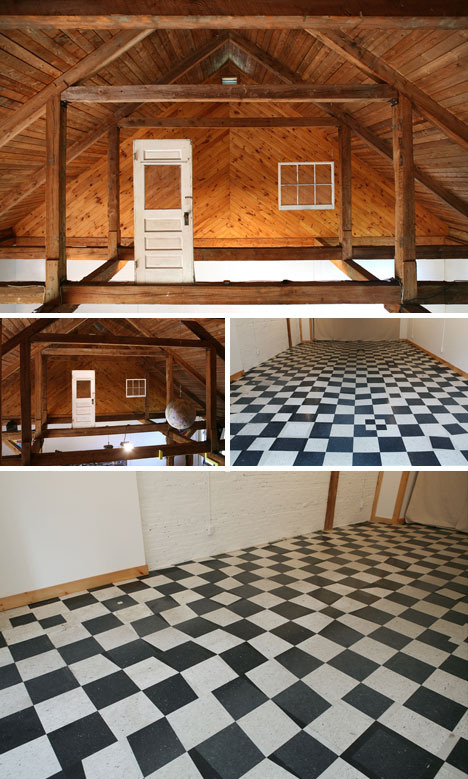 Other projects like Found House and Checkered Floor take normal objects, textures and materials out of context and distort them, making simple black-and-white patterns and portals between inside and outside seem strange aand surreal.